Surrogacy is a form of third-party reproduction in which a woman carries and gives birth to another woman's or couple's baby. Because of the complications and expense involved, couples usually resort to surrogacy after trying all other reproductive options. In the past, couples would conceive the baby from the surrogate's own egg and the sperm of a man wishing to have a baby with his partner, so the baby would be genetically linked to the surrogate. These days, however, the surrogate — or gestational carrier — usually has no genetic relationship to the baby, because the couple uses their own egg and sperm, or an egg and/or sperm from a donor. Who are candidates to use surrogacy? Who's the ideal gestational carrier? Your gestational carrier can be someone you know, such as a close friend or even a relative, or she can be a stranger found through an agency. 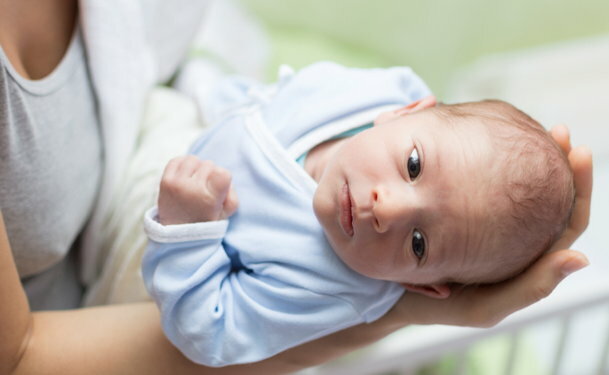 In either case, both you and the surrogate should have your own attorneys with experience in gestational carrier contracts in the states where both parties live, will receive obstetrical care, and plan to deliver the baby. That's because the laws on gestational carriers in the United States vary widely from state to state — some even treat it as adoption. It's a good idea to go through an established agency or a program associated with a fertility clinic. Prospective parents should verify the agency's credentials and ask to contact references. Once the agency connects you with a potential gestational carrier, you should check her out — do a criminal record check, verify her age and health status, examine previous delivery records, and understand her support network. It's also good to understand why she's willing to help. What is the surrogacy process? Both the donors and the gestational carrier must be screened for certain diseases. You and the surrogate may also be evaluated by mental health professionals to make sure you're up to the emotional challenge. Eggs and sperm are collected from the intended parents, or one or both can come from donors. After fertilizing the eggs through IVF, your doctor will implant one or more embryos into the gestational carrier's uterus. She is monitored throughout pregnancy, right up to delivery of the intended parents' baby. Depending on the agreement, you may or may not be present at the actual birth. Your control over the carrier's behavior and over the pregnancy itself is limited. Even though all parties sign a contract, it can be difficult to ensure that the gestational carrier eats appropriately and does not engage in harmful behavior such as smoking or drinking. That's why choosing the right carrier is so important. Other potential risks are the same as with any pregnancy. There's a risk that the embryo transfer or implantation will not be successful. That isn't necessarily the surrogate's fault — other factors including the egg and the sperm can affect the results. What's the cost of using a gestational carrier? If the carrier is uninsured or her insurance doesn't cover being a gestational carrier, the intended parents will have to purchase an insurance policy for her at a cost of about $30,000. All told, surrogacy can cost upwards of $100,000. Some of the fertility treatments for the intended parents may be covered under their insurance, but the lion's share of the costs will have to come out of pocket.